Welcome to the product section of our web site. For generations plumbers and technicians have known of one primary way to fix breaks and leaks with PVC and other plastic pipe by cutting out the break and re-plumbing. The family of PIPE DEBONDERS changes all of that. 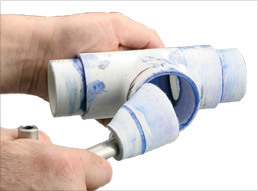 Now instead of CUTTING out the break, use the DEBONDER to extract the broken pipe and re-use the original fittings. 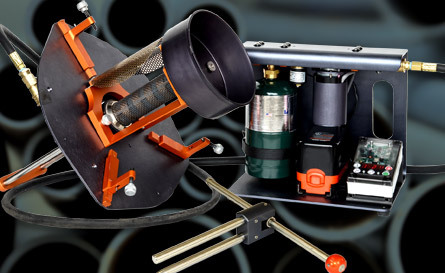 The PIPE DEBONDER is the only tool that can unglue and extract PVC, CPVC and ABS pipe using its patented heating and extraction technology. It’s designed for the professional contractor working with the service and installation of PVC, CPVC and ABS piping systems. For eight years, DEBONDERS utilized rechargeable batteries. Recently we have introduced our electric and gas-powered DEBONDER products. The Electric DEBONDERS provide a low profile and compact design that allows close proximity ungluing in complex piping systems. The continuous power supply allows for continuous debonding of many fittings (of various sizes and schedules) in succession. The products are Small and Mid-size DEBONDERS for 3/4″ to 6″ pipe. 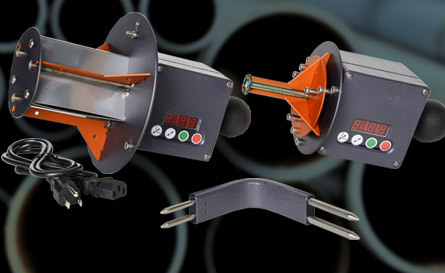 The Gas-Powered DEBONDER enables debonding from 4″ to 12″ pipe. Our latest product release, the Large Debonder enables repairs and savings of fittings that can cost into the thousands of dollars. Below we give a quick comparison of the DEBONDER products.